Happy Friday!!! We all love Friday because it’s the beginning of our very short weekend. I don’t know about you but IF I am EVER off on a weekend, I don’t want to spend several hours in the kitchen even if I love cooking. It’s just not enough hours in the day to do all the things we need to get done. I like to make quick and simple meals when I don’t have much time to spare. That way I can still have something homemade that won’t take me forever to make. 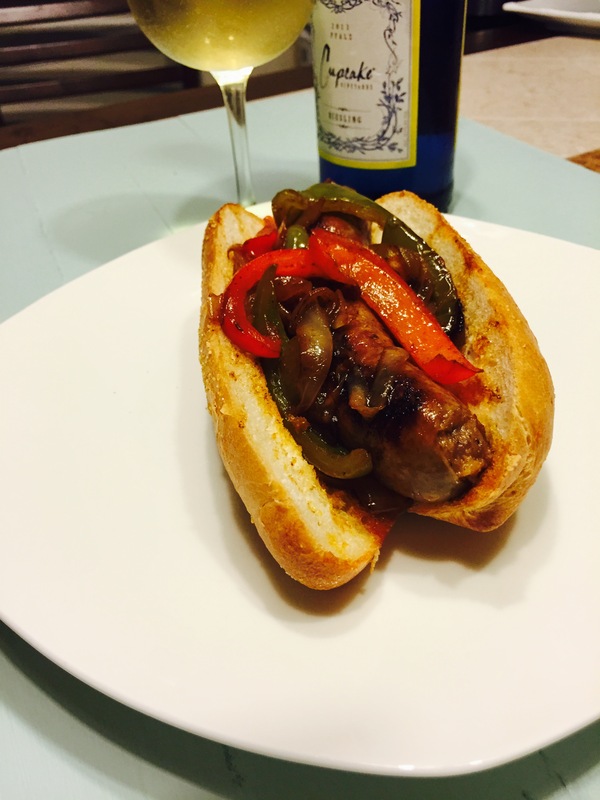 I had a few hot Italian sausage on hand so figured I would cook those. 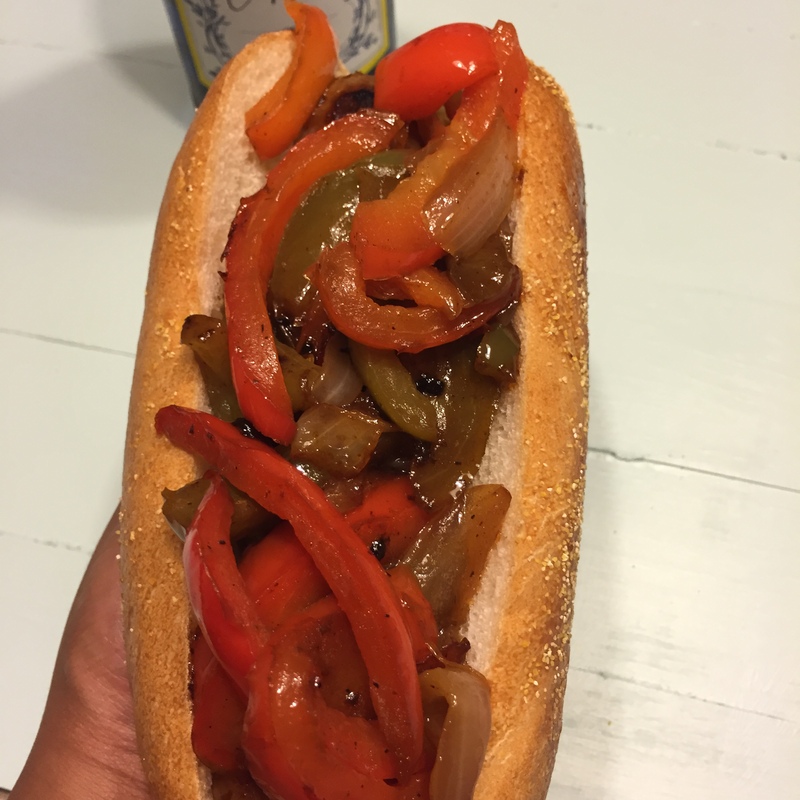 I sautéed some bell peppers and sweet onion with it and served it on a hearty roll. And there you have it. A quick meal for a Friday night. 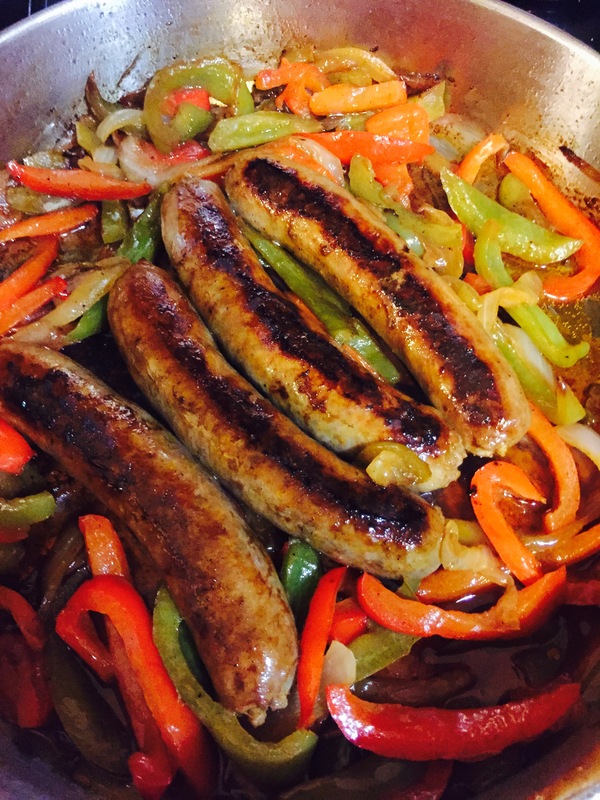 Place Italian sausage in pan and cook for about 5 minutes on each side. 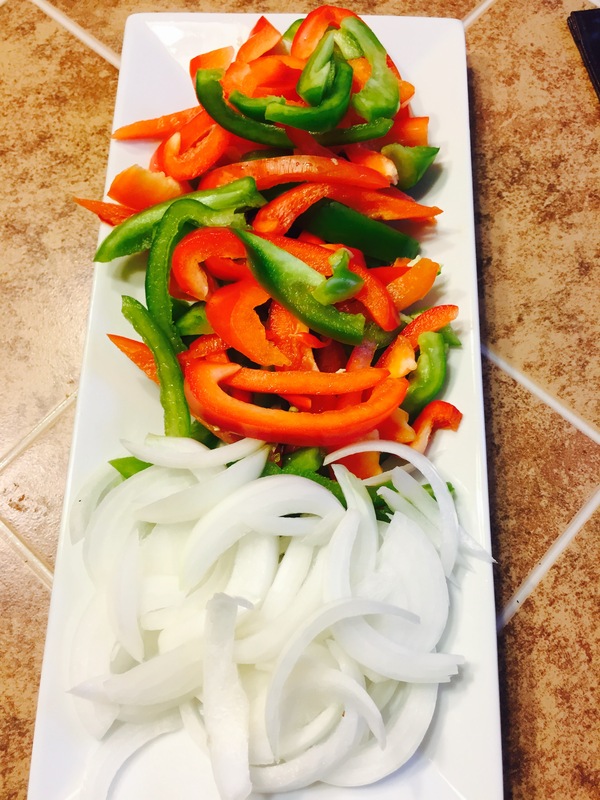 Add peppers, Onion, salt, pepper, oregano, and wine to pan. Let Sausage, peppers and Onions simmer for another 15 minutes covered. remove from heat, and serve on a Italian Roll. This was one of my dad’s favorite sandwiches! I’ll take one just for him! Let me know when it’s on your menu on stonestrow.